Here at Waterproof World, we are passionate about outdoor play and its importance in early years development and education. 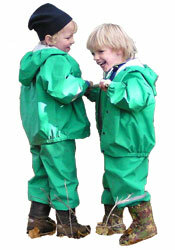 We started our business after seeing first hand in Scandinavian Forest Schools how much more free and exciting outdoor play could be, with really good protective clothing; i.e. 'Clothing Designed with Play in Mind'. Happily, this freedom is increasingly being experienced by British children too, as the government education guidelines for Early Years & Foundation Stage places more and more emphasis on Outdoor Learning; and as more schools and nurseries equip accordingly. We have worked with lots of schools and settings over the years, helping equip groups from just a few children, to over a thousand at a time, so we have plenty of useful experience and can guide you through our range to find the most appropriate outdoor clothing to meet your needs. We can usually offer attractive discounts for bulk purchase (the discount amount is dependent on the products chosen, and the numbers required) and we are used to dealing with the various purchasing procedures and policies imposed on educational establishments, such as local authority purchase order. As well as outdoor play clothes, we can also provide a wide range of keenly priced ski wear and watersports wear, and we are happy to help you pull together kit lists for school trips, expeditions or any outdoor activities. Working closely with both you and our suppliers, we can meet your requirements from the full breadth of their products and across all ages, including teenagers and adults. Some of our ranges can be personalised with logos (although many waterproof fabrics are not suitable for printing). Contact us for details of how we can help. Do give us a call on 0845 625 0360 to discuss your requirements and timescales; we have lots of experience and can help in many ways. 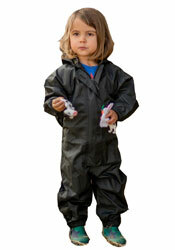 Look for our waterproofs 'designed with play in mind'. 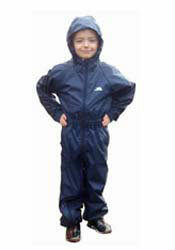 Breathable, in soft yet tough fabrics and with generous cuts, they are comfortable enough to wear as outdoor overalls to keep children clean, irrespective of weather. Parents tend to buy large to get two seasons worth of wear. Groups tend to buy for a target child age (swapping in new children rather than replacing the clothes). This can lead to a tendency to buy large numbers in a single (average) size. The spread of sizes for young children at a given age is however, enormous, so provision needs to be made for the largest children and the smallest. It can be useful to buy different colours for the different sizes. In this way an outfit can quickly be matched to a child at a glance. It's normally wise to avoid pink; we can offer you a wide range of plain colours, focusing on reds, blues, yellows and greens; and some great print designs. Choice of an all-in-one overall versus a two piece outfit is largely a matter of personal taste. All-in-ones offer very reliable protection, and are quickest to get on and off, with adult assistance. Two pieces can take longer to get in and out of, but are easier for the children to manage unassisted and can be more flexible for all year use. Dungarees (or Bib and Brace) offer quite a lot of protection as play overalls, even without a jacket in warmer weather - as they cover high up the body. Trousers can be easiest for children to manage unassisted, and for toilet visits etc, but don't have the same degree of coverage and protection on their own in the warmer months. Don't forget teacher!! 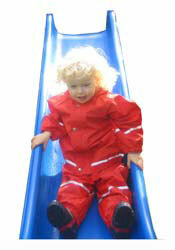 Once the children are completely weatherproof, you'll need good waterproof jacket and trousers too, or long coat ! take a look at our general buying tips page for more things to think about in choosing your play clothes. It can be worth taking one or two products initially to confirm size and expectation before ordering for a full group. Any goods we supply as samples can be discounted retrospectively if they are subsequently followed by a large discounted order. Likewise, unwanted samples can be refunded if returned to us unused and in original packaging. Please call to discuss your requirements on 0845 625 0360 or email us to request our special Schools Information Pack. Click on the links below for more details of these popular choices for groups. Call us for details - 0845 625 0360. 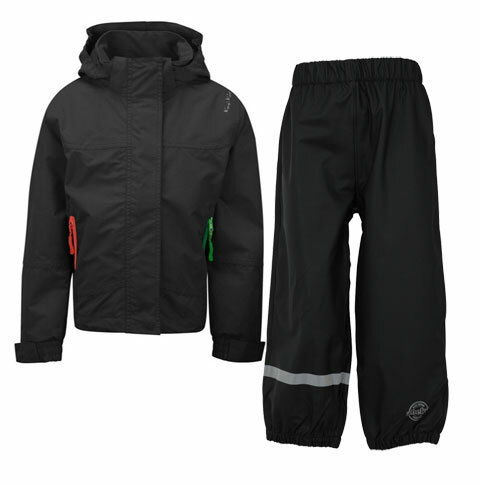 Currently we have stock of high quality Kozikidz Norfolk jackets in black & Abeko Black Wills Trousers height 120cm (5-7yr) suitable for group purchase. In addition to these popular choices, we offer bulk purchase Special Order for additional products not held in stock for immediate dispatch. 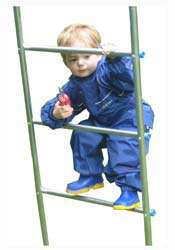 See our range of Special Order products from Elka and our Special Order products from Regatta. Please take time to browse our gallery of photos and testimonials (click here) sent into us by schools and nurseries who are already using our goods, to their great satisfaction. Many groups return to us as funds allow, to expand their outdoor provisions to the widest range of ages. As a result of our involvement with schools and groups, we have forged a close alliance with the School Grounds Charity, Learning Through Landscapes (LTL); working alongside them in promotion and development of outdoor learning. We were honoured to be asked by them to showcase a selection of our products within the Growing Schools Garden at the RHS Hampton Court Flower Show in July 2007. 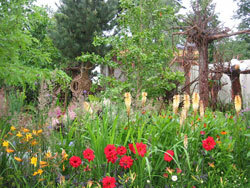 The garden was commissioned by the Department for Schools, Children and Families; was designed by TV gardener Chris Beardshaw and was co-ordinated by Learning through Landscapes. It won the highest accolades at the show; both a gold medal and the coveted Tudor Rose (best in show) award, and it created enormous visitor and media interest. The garden was designed to express the themes in the Learning Outside the Classroom manifesto; highlighting the valuable role of outdoor experience in child development, and demonstrating the innovative ways that schools are using the outdoors in providing meaningful learning opportunities for children. The garden included contributions from over 30 schools and settings from throughout the country, as well as examples of modern school resources and sustainable architectures. Schools and early years settings from across England worked closely with the partners in designing and creating the garden, some growing plants and some creating features for the garden. At the show, children from many of the schools provided demonstrations of the wonderful learning, play and social opportunities created through the garden and within their own school grounds. The garden also showcased the modern, sustainable school buildings which were being developed through the government’s Building Schools of the Future programme. 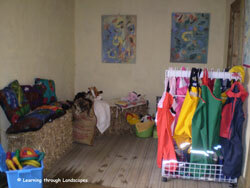 A presentation of Outdoor Play Clothing, supplied by us, Waterproof World, highlighted the important role that all weather practical clothing has in enhancing the children's learning experiences. After the show, the garden was re-located to Birmingham Botanical Gardens, where it has become a permanent learning resource for schools and early years settings – and for all visitors to the Gardens.